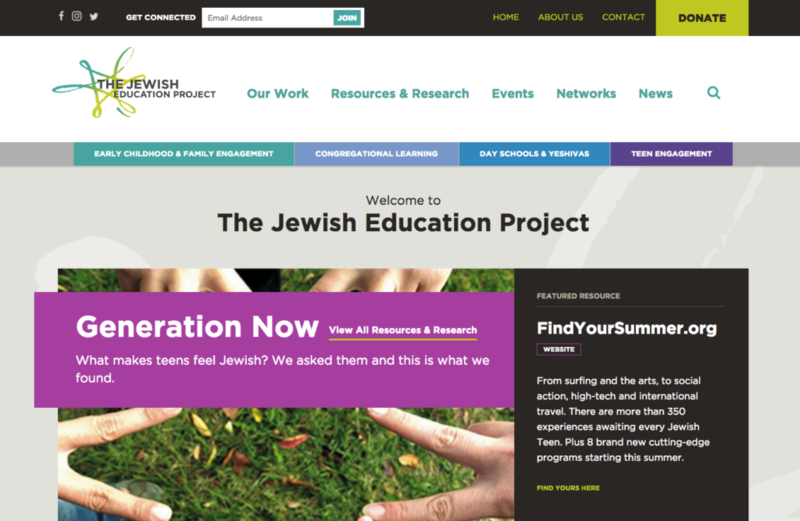 The Jewish Education project came to Advomatic when their Drupal 6 site was ready for an upgrade to Drupal 8. 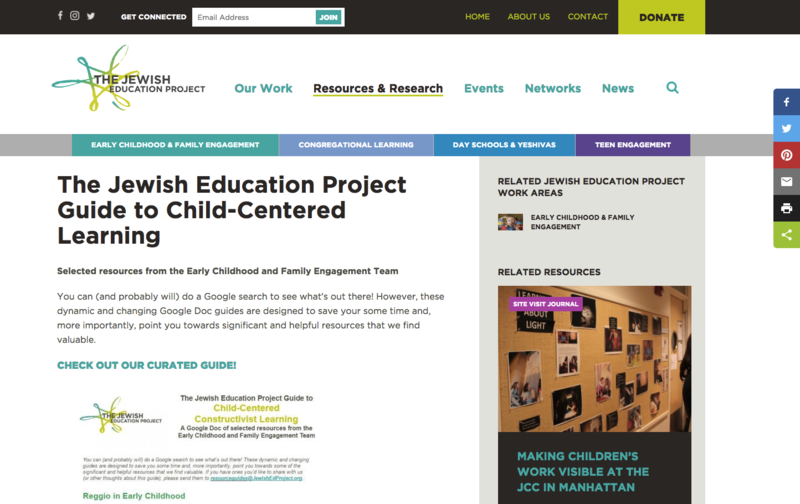 Content on the site is grouped around the Jewish Education Project’s fundamental work areas, and many content types needed fairly complex relationships to other content types (for example, a resource can relate to a work area, and/or events, and/or networks). 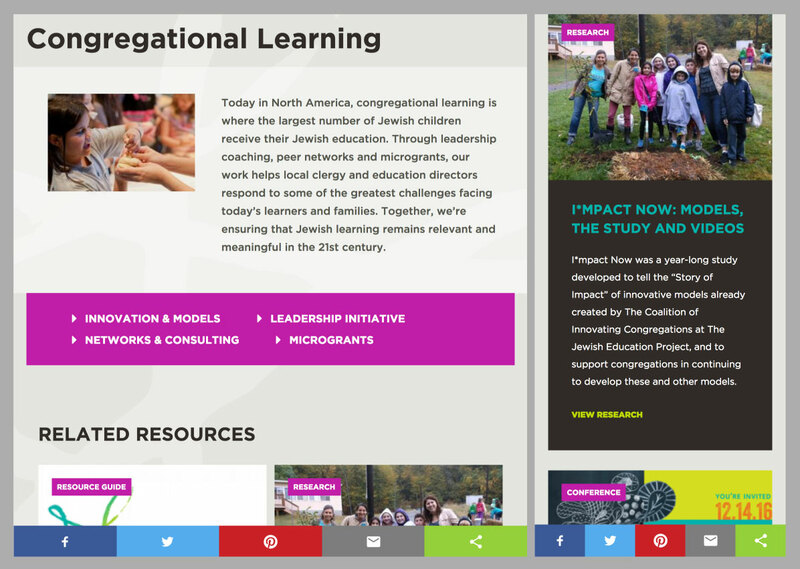 We made use of Drupal 8’s Views module to create dynamic listings all over the site. The site runs on the Lightning distribution, which allowed us to efficiently enhance Drupal core’s media handling and editor experience, and we’ve implemented additional features on top of that to further customize the admin user interface, particularly around with WYSIWYG editor. As it was one of Advomatic’s first big Drupal 8 builds, we were excited to make use of Pattern Lab (by way of Pattern Lab Starter) for prototyping components on the front end before even getting to Drupal. This streamlined the build process, helping to keep the front and back ends neatly separated.